For more than three tiresome weeks, thousands of City residents and from neighboring provinces have queued for hours to buy train tickets at Saigon Railway Station or agency offices--to go back to their hometowns to celebrate Tet Lunar New Year with their families. Every year, buying train tickets for Tet Lunar New Year is a nightmare for people who come to Ho Chi Minh City to work or study from other provinces. With huge online sales jamming website www.vetau.com.vn, purchase of train tickets has become a physical battle of nerves and long hours of waiting in line at ticket counters. However, it is easy for people who know how to use computers and have much time. In the past month, the railways issued around 100,000 tickets to serve the demand for the coming Tet festive season. Of which, 68,000 tickets were sold online, and 18,000 tickets were sold directly to passengers at the station and groups of people who booked tickets in advance. This does not include more than 10,000 additional tickets. Nevertheless, several people were still unable to buy train tickets. 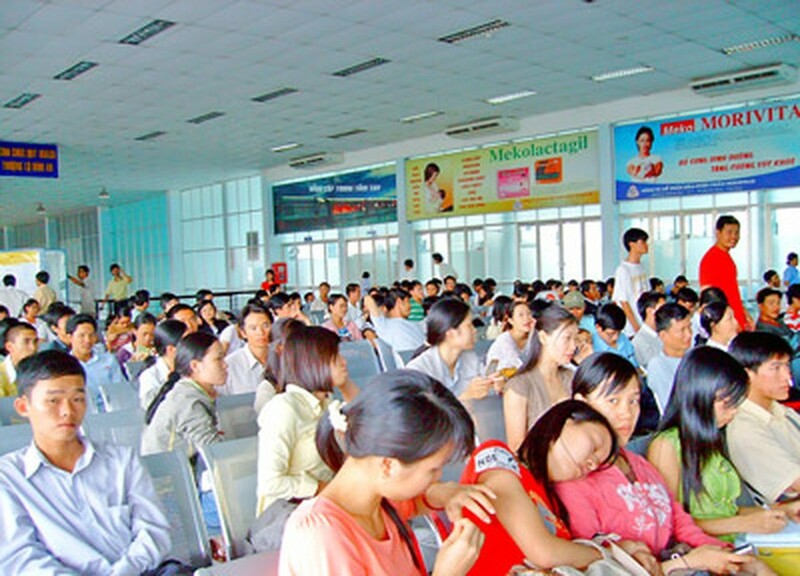 Many passengers who want to go to Binh Dinh, Quang Ngai, Quang Nam, and Da Nang had to buy tickets to Vinh or Thanh Hoa because tickets for these routes were still available. This meant that if they want to be with their family during Tet holidays, they have to pay more. Many passengers complained that though they did group bookings early they could only buy tickets on additional trains instead of fast-train tickets. Meanwhile, they could easily buy fast-train tickets through agencies or agent provocateurs, but had to pay a higher amount. While booking on phone, passengers always received a busy signal when they called the station number for free home delivery tickets. As travel demand during Tet holiday season is huge, train tickets are usually sold out in a few days. Although, the railways added more trains or carriages, they were still unable to meet the huge demand. 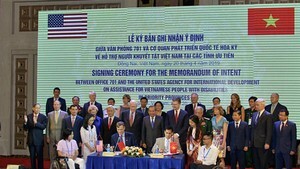 Dinh Van Sang, deputy director of Saigon Railway Passenger Transport Company, said that during peak time in Tet, the company had trains running at full capacity. Moreover, the country’s railway facilities were not able to handle more trains or longer trains. In order to serve increasing travel demand, the railways should upgrade infrastructure to correspond with growth in the country.